Today’s photos are from a business portrait session in Florence together with Alexandra Korey. Alexandra who is originally from Canada and a Renaissance art historian (perfect match since as you might know, I’m all into Renaissance art! ), has been living in Italy for almost twenty years. She writes Arttrav – a blog about expat life and art in Florence and Tuscany – and had wished to update her site and social media with some fresh new photos and head shots. Her last photo shoot happened a while ago, so it was time for an update with photos that represent who she is today! 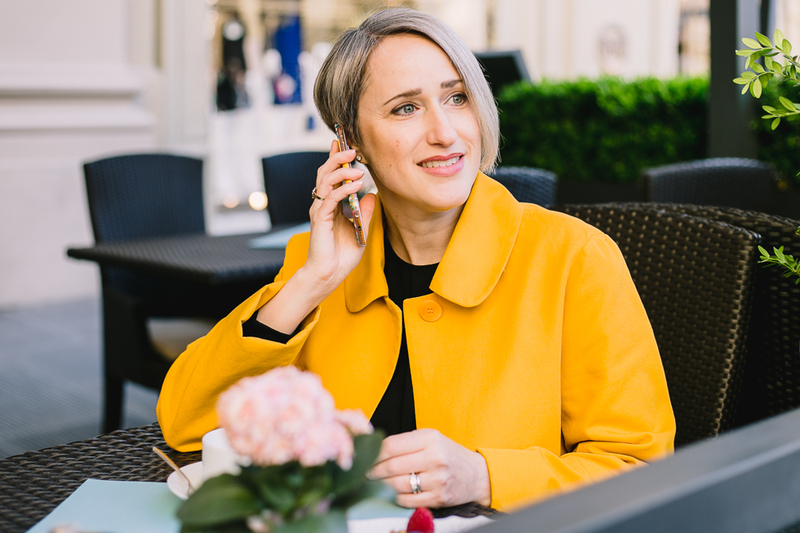 Location makes a big difference for branding sessions, so it is worth thinking about which location connects best to your lifestyle, especially if you don’t have an office or business location. Alexandra loves high culture and understated luxury, so we wanted the photos to reflect her taste and upper end style. 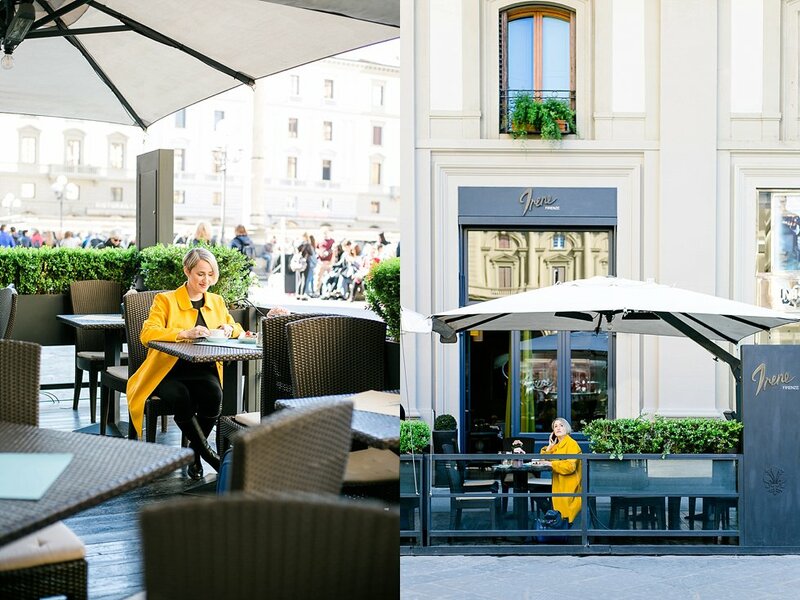 We chose the terrace of Restaurant Irene at five-star Hotel Savoy on Florence’s Piazza Repubblica as the main location for our photo session, encompassing historical architecture with elegant style in the very heart of Florence. Then, for a change of location later on, we figured Palazzo Strozzi to be absolutely perfect, being a Florence hotspot for exhibitions ranging from ancient art to the contemporary era. *** If you wish to have new photos taken for your brand or business, please get in touch! My business portrait session starts at an hour and can be extended to a whole branding session depending on what you would like to have captured. I photograph in natural light, outdoors or indoors, and of course there’s the option to include signature accessories or your own products, as well as to change outfits to create a more versatile look for your social media. I love to capture you with a lifestyle approach – no boring poses or backdrops but lots of fun, and images that will really capture the true you.